Paul Block is the turnaround king. 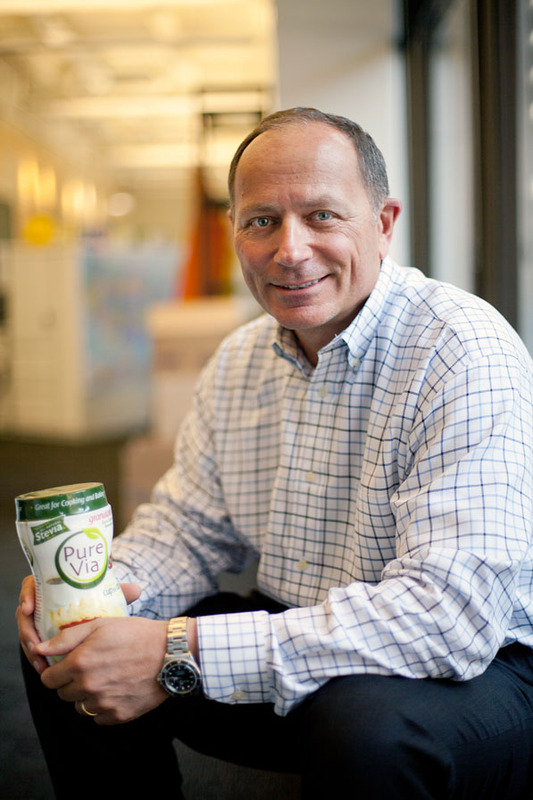 Since joining the Merisant Company, a global manufacturer of sweetener products, Block helped raise the company’s credit rating and cut its debt from $560 million to $100 million. Here, the president and CEO shares how his drive and ambition have made him an ideal candidate to reinvigorate the once-struggling company, now recognized for its revenue growth and product innovation. The story of my career is of someone who came up through the ranks. I started in event marketing at Miller Brewing Company in Milwaukee at a very unique time. Miller Brewing had been acquired by Philip Morris several years prior, and they brought their discipline and expertise over from the cigarette business. Philip Morris had a very methodical approach to event and young-adult marketing. It gave me a great foundation in terms of how to think systematically, how to follow a process orientation, and how to think about segmentation in a way to creatively approach the consumer. In the 10 years I was at Miller Brewing Co., I held a variety of roles, giving me a well-rounded education in sales and marketing. Then someone came to me and said Guinness UDV, which is now Diageo, was looking for a marketing director to come in on the beer business. I became their vice president of marketing before I accepted a position at Group Dannon. I created a business opportunity for Dannon Water, extending the yogurt brand, so they asked me to be the GM [general manager] of the new business line, start it up, find the business, get it manufactured, figure out the distribution, and coordinate the packaging. That was really my first move from marketing into general management. Later, I became the North America general manager for a $750 million wine-and-spirits business that threw off $250 million in profit, which really set me on my path. I went over to Sara Lee as CEO of their retail coffee division before becoming CEO of Merisant Worldwide. As my career evolved, I realized I wanted to be part of an independent company that reported to a board of directors. I was attracted by the position and the opportunity. Merisant’s story, and mine since accepting the position, is really about turnaround, restructuring, and instilling a stable platform for growth. When I came to the company in 2005, they were under attack from Splenda. Merisant was experiencing a 30 percent decline in revenue, and about the same in EBITDA [earnings before interest, taxes, depreciation, and amortization]. Our leveraged free cash flow as a percent to EBITDA was essentially flat. We had more than $560 million in debt, and we had a credit rating in the D range. In 2009, we restructured the company. I was the chairman, CEO, and CRO [chief restructuring officer]. While we didn’t go into the restructuring with any preplan, we emerged a year later, which was impressive, with $142 million in debt. M&A Atlas awarded Merisant the Turnaround Company of the Year in 2010, and I was recognized as Turnaround Executive of the year. Our debt is now under $100 million and our credit rating is in the B range. We focused on the underlying fundamentals and on our new brands. I would say one of the most exciting things we are working on is Pure Via sweetener, an all-natural, zero-calorie, and low-glycemic-index tabletop product. We launched it from nothing to a $150 million global brand. We also accelerated and launched new products under other brands and got into private label. This year, we are on track to achieve 10–13 percent revenue growth. As president and CEO, I have responsibilities that span the globe. My demands are heavily marketing and operationally oriented. Approximately 60 percent of our revenue is derived from business outside the United States. With the restructuring behind us, I spend a significant amount of time on marketing and innovation in our top countries around the world. The challenge of growing our business in a multinational, multicultural environment is difficult, but very rewarding. Every day is action packed, diverse, and complex. While I took a risk joining Merisant, I’ve always been a pioneer throughout my career—launching new products and turning around brands—so I believed I had the capability, courage, and vision to really make a difference. I feel one of the traits of a good CEO is they are eager to take on intelligent risks for a significant reward. I was willing to take on the risk of a restructuring for the reward of being the chairman and CEO of a freestanding entity. This may have been more than I bargained for, but it is what has kept me interested.